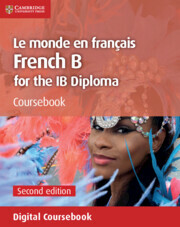 New edition to support the IB Diploma Language B syllabus for examination from 2020. 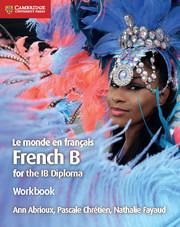 Le monde en français is an internationally focused coursebook offering authentic texts from a variety of French-speaking countries, with exercises carefully designed to develop students' linguistic abilities and critical thinking. The second edition of this series has been expanded to include a workbook for extra vocabulary and grammar practice and a teacher's resource with Cambridge Elevate, offering flexible support to French B teachers.